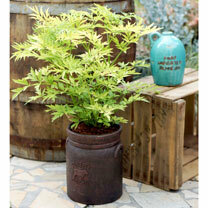 For a bright column of colour in your garden, look no further than Sambucus nigra 'Golden Tower'. This unusual variety will quickly grow straight up, without the usual branching out habit of other elderberries, forming a tall and relatively narrow deciduous shrub. Flowers April-May. Height 150-200cm. 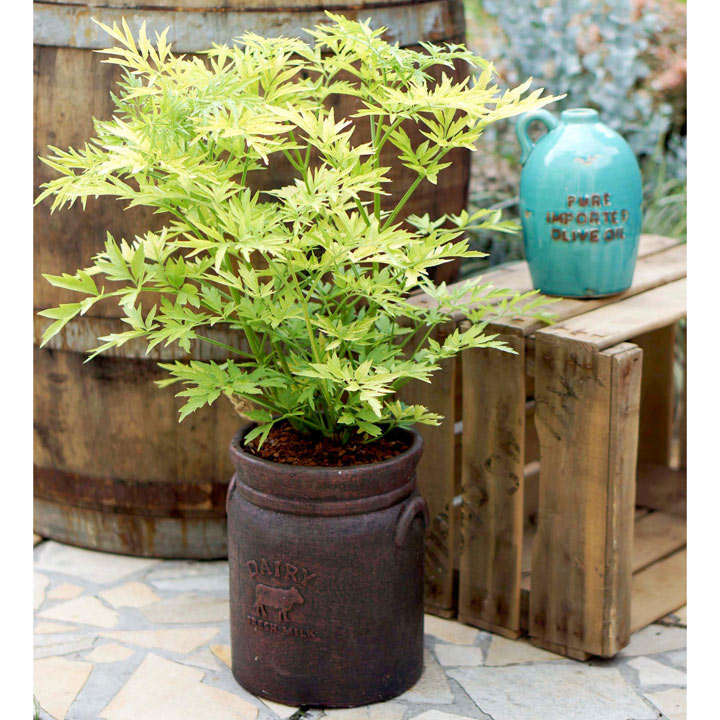 Supplied in a 3 or 10 litre pot.